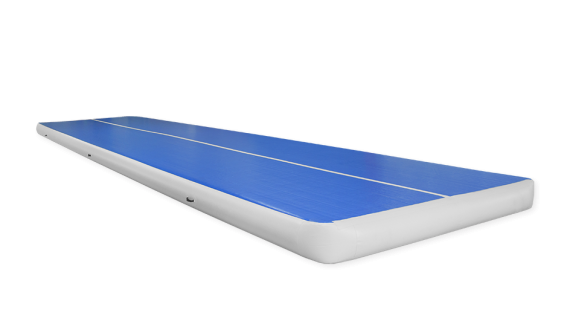 AirTrack P3 is a 33 cm thick versatile inflatable mat enabling target-oriented training and fun activities. P3 is our most popular AirTrack model – especially in 2.8 m wide and 10 m long. The P3 mat combines the maximum bounciness and sufficient thickness in order to provide safety during high jumps. AirTrack P3 is a 33 cm thick versatile inflatable mat enabling target-oriented training and fun activities. P3 is our most popular AirTrack model – especially in 2.8 m wide and 10 m long. 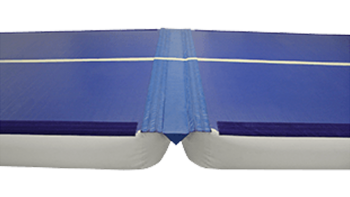 The P3 mat combines the maximum bounciness and sufficient thickness in order to provide safety for everyone during high jumps. The softness/bounciness of the mat can be adjusted by setting the air pressure. The mat can be adjusted very soft for beginners or very sturdy for top gymnasts. 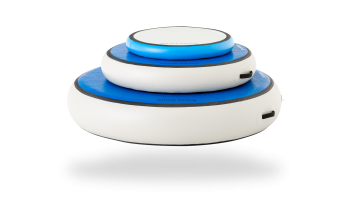 The range of applications can be extended by using landing mats and foam blocks in addition to AirTrack P3. The product is available in two widths: 2 m and 2.8 m and in 5 lengths: 6, 8, 10, 12 and 15 m. Please contact us if other sizes are required. The 2.8 m wide version can be used for bigger groups e.g. as a two-laned base. 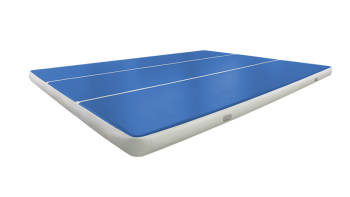 The additional width enables you to stand on the mat assisting your athlete during the movement without having to compromise on the bounciness of the base. The mat is delivered with a durable bag that fits into any car. 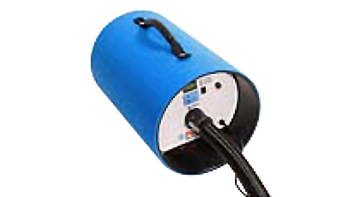 The mat can be inflated with a Hitachi blower (sold separately). 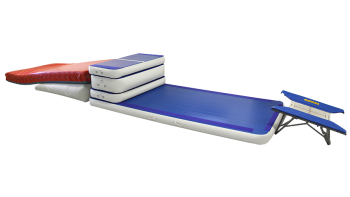 Two or more AirTrack P3’s can be connected to each other in case a larger mat is required. To connect the mats, you’ll need Track Connectors and stickers for the mat. In P3, the connection stickers for the short sides are delivered automatically, but in case you need stickers for the long sides, they need to be ordered separately. What is the difference between P2 and AirFloor or P3? Basically, the only difference is the thickness. AirFloor is 10 cm thick, P2 20 cm and P3 33 cm. However, these small differences have a significant influence on the use and response. 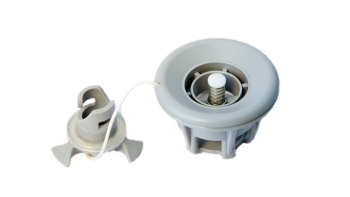 Your application, age, skill level and size determine which AirTrack you should choose. If you are uncertain of which one to choose, we are happy to help you find the most suitable option.